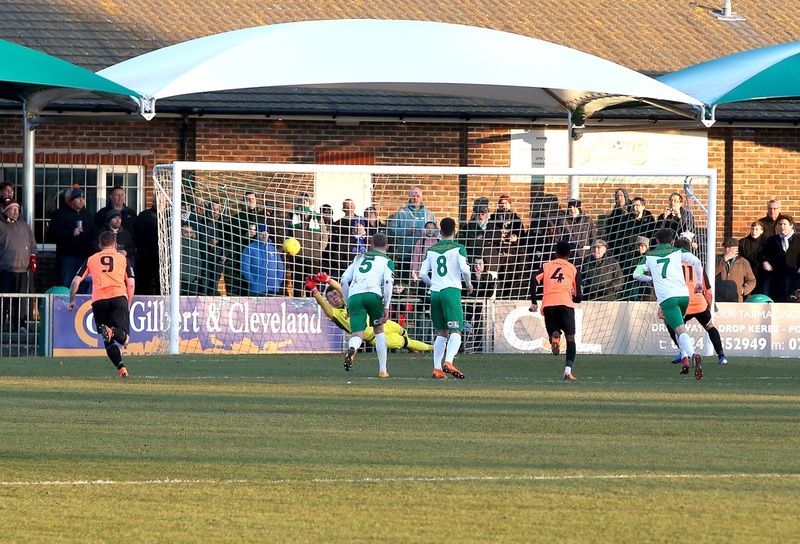 Bognor boss Jack Pearce is warning his side must tighten up at the back to have any chance of staying in the promotion hunt. Rocks slipped out of the playoff places this week thanks to 3-2 defeat at home to Tonbridge Angels on Saturday. But, in true topsy-turvy style, unpredictable Bognor followed that with a 2-1 win at high-flying Merstham in midweek, a result which leaves Rocks fourth in the Bostik Premier. With just six points separating Merstham in third and Kingstonian in 13th, the Nyewood Lane side will have their work cut out to get into the top five by the end of the season. Pearce claims his side must improve at the back – or hopes of a return to National South at the first time of asking will be dashed sooner rather than later. The veteran boss said: “You cannot concede the number of goals that we’ve been doing. That’s more than 40 we have conceded now. “The hardest thing in football is scoring goals and if we are letting them in that makes the job even harder. Goals from on loan Portsmouth duo Brad Lethbridge and Dan Smith sealed the win on a wet Wednesday at third-place Merstham. Rocks could have made it an excellent week when they took a 2-1 lead against Tonbridge through Jimmy Muitt and an excellent Lethbridge effort. But Angels hit back to square things at the break. The match was decided in the second half when a soft penalty was awarded after a foul by Joe Tomlinson. Pearce said: “If that’s how you judge a penalty then I would argue every corner would result in a penalty or free kick. It’s a major decision which did not go for us and that’s disappointing. Rocks’ cause could be boosted at tomorrow’s match with struggling Hornchurch as injured centre halves Keaton Wood and Corey Heath are nearing a return. Even if they are not available Pearce did not rule out making extra additions to the squad. He said: “I worry that we may have played a few too many games before they come back.